Cedar came to us as a badly beat up stray. It was reported that he showed up at a Good Samaritans house and just hung around for a long while. He was attacked by some other dogs and thats when he came to us. What a lovely boy he is! 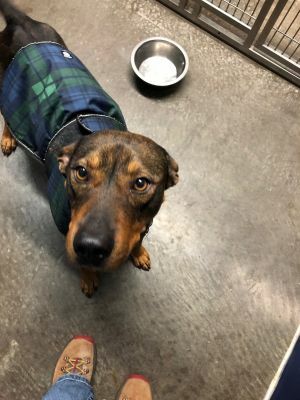 He appears to be housetrained and wont soil in his kennel. He was very patient with lots of handling to examine the many bite wounds on all parts of his body. He knows how to sit on cue, and he thinks that part of earning a treat for sitting is to bark to say "please." Although he did very well with a balanced female dog, he prefers to be with humans and being left out in a playyard by himself caused a bit of anxiety in him. He is only about 1 year old and walks well on a leash. As he heals, we will post more about him. He deserves a medal of honor for enduring such an attack and still being a very loving dog. Cedar's adoption fee is $175 and includes neuter, current vaccines, microchip, free vet visit, 30 days free pet health insurance, and custom engraved ID tag. Tinsley and her pal Tarzan were brought in as strays and weren't claimed by an owner. She is still a pup at 6 months old, but it seems like someone had started to teach her to sit on cue. 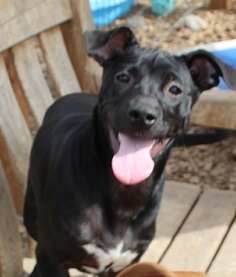 She is a very sweet and outgoing mixed breed girl. She does jump up, and she is very motivated by treats, but overall, shes going to benefit from some force free, positive training. We will post more as we get to know her better. Tinsley' s adoption fee is $250 and includes spay, current vaccines, microchip, free vet visit, 30 days free pet health insurance, and custom engraved ID tag. Tarzan and his pal Tinsley were brought in as strays and weren't claimed by an owner. 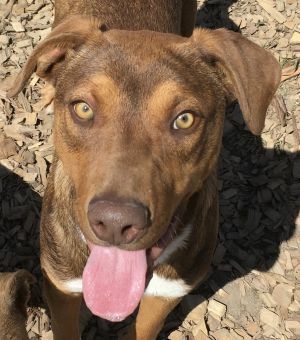 He is 8 months old, he is friendly and outgoing when he is with Tinsley, but can be somewhat shy and worried about being grabbed. We are working on it with him, and he's making quick progress because he loves yummy treats! Tarzan is learning how to sit on cue, as well. He does jump up and is excited to see us, again when he is with another dog. He shows no aggression when he is alone, just some mild apprehension. We will post more as we get to know him better. Tarzan's adoption fee is $250 and includes neuter, current vaccines, microchip, free vet visit, 30 days free pet health insurance, and custom engraved ID tag. Pongo was brought in to a local vet by a Good Samaritan suffering from demodex mange and poor nutrition. We are just getting to know this sweet boy, and have begun treating him and putting some weight on him! 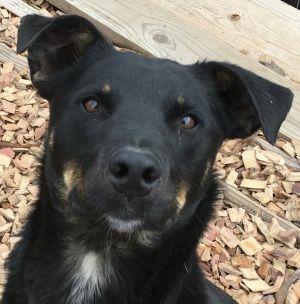 He is only 1 year old and appears to be a mixed breed, a real Heinz 57, but he is very kind and gentle, and deserves a wonderful life. We will post more as we get to know him better. 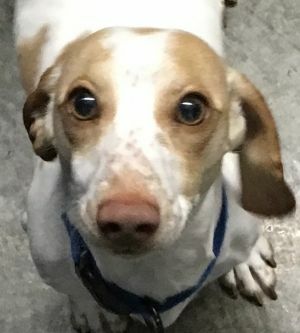 Pongo's adoption fee is $175 and includes neuter, current vaccines, microchip, free vet visit, 30 days free pet health insurance, and custom engraved ID tag. Merlin was adopted 3 years ago as a pup but recently returned. Merlin is a really nice and friendly 3.5 year old boy that is housetrained, knows his basic cues, walks well on a leash, and loves people. He did not live with children, so we cant comment on that. Merlin loves female dogs, and is picky about which male dogs he will play with. 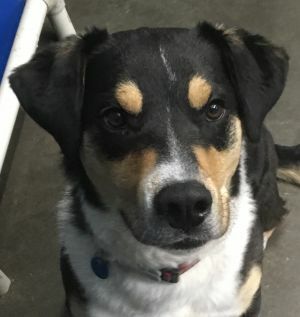 Merlin was a regular at doggy daycare and a local boarding facility, and when we called to find out how he did there, it was reported that he had lots of female bff's and was a well-loved favorite. He also lived happily with a female dog. Merlin doesn't love cats and would love to give chase. 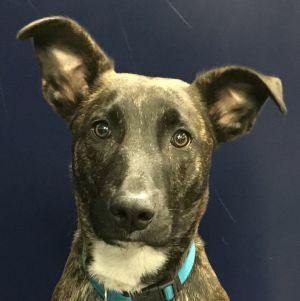 Although his owner reported that he was aggressive towards certain other dogs, we think that if you dont put him in positions where he is around dogs he may not like, (like dog parks or off leash in public spaces) Merlin is a safe and wonderful companion dog. He is well-behaved and affectionate and did fantastic in playgroup with 2 female dogs at the shelter. Merlin's adoption fee is $175 and includes neuter, current vaccines, microchip, free vet visit, 30 days free pet health insurance, and custom engraved ID tag. Gary came to us as a transfer from another rescue who brought him up from SoCalifornia. Gary is 2 years old and he knows his basic cues. He is definitely a Blue Heeler mix as hes got some really long legs and stands tall. Gary loves yummy treats and knows how to shake a paw. One thing he really needs work on is taking treats nicely! We call him a shark because he is so eager to get a treat that he will put your whole hand in his mouth. We are working on that with him. He doesn't seem to like small dogs or dogs smaller than him, but did very well with a like-sized female in playgroup. He easily meets strangers and does good on the leash. We will post more as we get to know him better. Gary's adoption fee is $225 and includes neuter, current vaccines, microchip, free vet visit, 30 days free pet health insurance, and custom engraved ID tag. Dalton is only 6 months old and was adopted as a small pup but recently returned. His adopter said he was afraid of men. He is housetrained and he likes kids, cats, other dogs, and especially loves little kittens. He is a shy boy, but he gains confidence when he is with other dogs, so we recommend he be in a home with another dog. He knows his basic cues, we are working on confidence building with him, and we already notice him more outgoing, especially when hes with other friendly dogs. We dont know what has influenced his timidity or fear of men, but he shows no aggression. He actually is a cuddly, playful, lovable dog in the right hands. Dalton will thrive with reward based, force free methods. Dalton's adoption fee is $250 and includes neuter, current vaccines, microchip, free vet visit, 30 days free pet health insurance, and custom engraved ID tag. These guys were born January 10th, 2019. Mom was a pug/chihuahua and dad was a dachshund. These guys will stay fairly small and boy are they fun and snuggly! Their former foster mom says these babies are smart and loving. They will be neutered April 10th and can go home the next day! 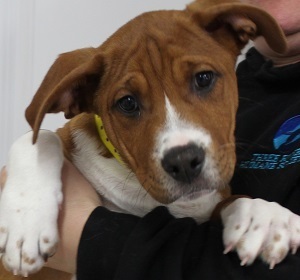 Larrie's adoption fee is $375 and includes neuter, vaccinations, microchip, free vet visit, 30-day trial pet insurance, a puppy book, and a custom engraved ID tag. These guys were born January 10th, 2019. Mom was a pug/chihuahua mix and dad was a dachshund. These guys will stay fairly small and boy are they fun and snuggly! Their former foster mom says these babies are smart, friendly and loving. They will be neutered April 10th and can go home the next day! 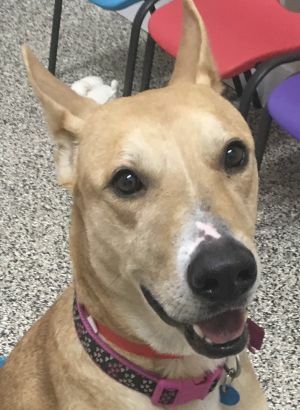 Laredo's adoption fee is $375 and includes neuter, vaccinations, microchip, free vet visit, 30-day trial pet insurance, a puppy book, and a custom engraved ID tag. Gus came to us as an owner surrender, convinced by the Animal Control Officer to find him a new home. Gus' mom was a red nosed Pit Bull and dad was a Brindle pit. He is 8 months old and is behind on normal socialization. He isnt quite housetrained, and was allowed somehow to run after neighbors. Besides the scary neighbors, he hasnt been exposed to strangers or visitors to the home. Gus will benefit from an experienced handler that will do "catch up" on the things that Gus has missed out on. He is submissive towards us, and we can tell he is overwhelmed, so stay tuned for updates on how he is progressing. We will give you lots of advice on how to help him be a great positive and confident boy, but dont take him home if you wont do the work. Gus's adoption fee is $175 and includes neuter, current vaccines, microchip, free vet visit, 30 days free pet health insurance, and custom engraved ID tag. Ernest came to us as a stray and wasnt claimed by an owner. He is a youngster, maybe 1 year old. He is a friendly and easily excitable boy that loves playing with same sized well-balanced dogs. By easily excitable, we mean that during his body handling test, he got very wiggly and energetic, and didnt want to be restrained or paws held. He didnt show aggression, he just started fooling around, which is an indication of overstimulation. When the trainer petted him with more massage-like stroking, he remained calm and seemed to enjoy it more. He had a playgroup with a much larger female and she was just too much for him. She could easily knock him down with a big paw. Hes a great medium sized dog. Unable to cat test, we will post more as we get to know him better. Wagner and his brother Wrangler came to us through a third party as owner surrenders. We suspect that there were two young dogs too many and we dont know much more about their history. 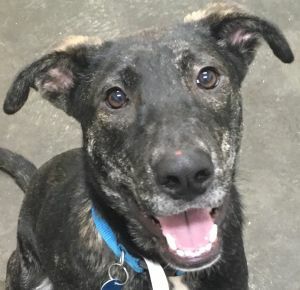 Wagner is a friendly and outgoing 9 month old and may know how to sit on cue, because he loves doing to earn yummy treats! He is a really nice dog and has done great in play with 2 female dogs. We will post more as we get to know him better. Wagner's adoption fee is $275 and includes neuter, current vaccines, microchip, free vet visit, 30 days free pet health insurance, and custom engraved ID tag. Sampson came to us as a transfer from another shelter. It was noted that he had a bit of a limp, so a vet visit was in order. Turns out the sweet 9 month old pup has something called OCD lesions in his shoulder. 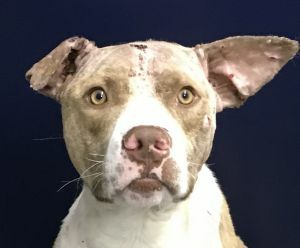 This condition requires surgery and this dog is so worth having it done. He is such a great boy, friendly, outgoing, patient with all the wacky handling and X-rays, and handsome, to boot. Sampson's surgery is scheduled for April 3 by the wonderful Dr. Colton, and will require some rest and down time. What better place to recover from surgery to begin a pain free life in a loving new home? 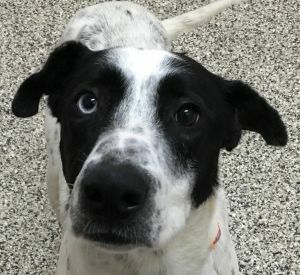 Come meet him today, we all love this guy, he's a great dog. Pupdate - Sampson is doing fantastic, post surgery. He has an amazing temperament and will make someone a wonderful companion!! Sampson loves everyone. 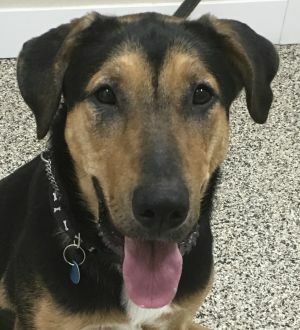 Sampson's adoption fee is $300 and includes the surgery, neuter, current vaccines, microchip, free vet visit, 30 days free pet health insurance, and custom engraved ID tag. Shasta was originally adopted from us as a pup a year ago, but was brought back because their landlord said "get rid of dog or be evicted." The neighbors were complaining because Shasta was always out in the neighborhood and she would bark at them. Not sure why she was out in the 'hood so much. 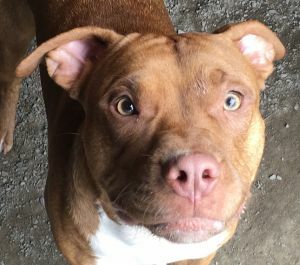 Shasta will need a very special home. She did not get to meet strangers and visitors in a controlled and positive manner, so she can behave fearful and bark. We were told that in the home, with the older children she was great and affectionate. She is housetrained, she lived with another dog, and we are letting her settle in before we do any behavioral evaluation with her. She did take treats from the trainer, but she is actively looking for her owners, which breaks our hearts. Her nails were very long and she wasnt up to date on her veterinary care. Stay tuned... Pupdate - One week later and we've seen some positive progress! She now approaches, walks happily on leash with us, is enjoying getting lots of yummy treats and attention, and she is learning how to play with other dogs and not be afraid of them. She does very well with respectful dogs and even has been playing after a short introduction. She may always be a cautious canine, but she deserves the best, just like the outgoing and uber friendly ones! 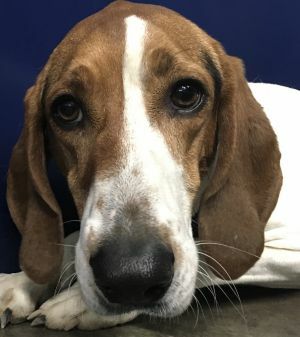 Shasta's adoption fee is $175 and includes spay, current vaccines, microchip, free vet visit, 30 days free pet health insurance, and custom engraved ID tag. 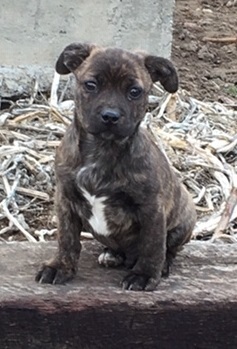 The "dessert pups" were born here at the shelter on December 11th 2018. They are finally big enough and old enough to go home!!! These are fun silly puppies that love everything in sight! Their mom weighed about 45lbs and appeared to be a black lab mix but we have no idea what dad was. Our guess is that they will be around 40-50 lbs. Are you really ready for all the work a puppy brings to your life? Please research POSITIVE training techniques before applying for adoption. Your application answers matter very much to us. 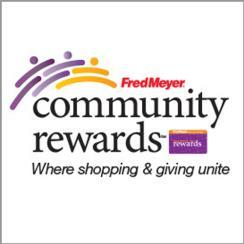 Applications are found here: https://threerivershs.org/adoption-app-2/ The adoption fee of $325.00 includes neuter, current vaccines, microchip, free vet visit, 30 days of pet health insurance, and engraved ID tag. WE DO NOT SHIP DOGS. 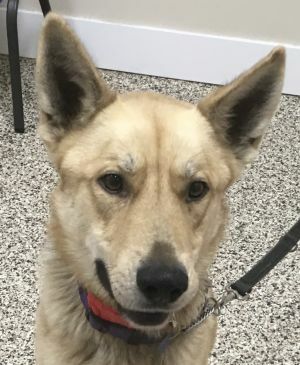 Koda was adopted from us over 2 years ago as a young pup and returned to us for having too strong of a prey drive towards the house cat and very small dogs. Koda is now 3 and he is housetrained and crate trained. Koda lived with kids from 10 - 17 and did great with his 25lb little dog housemate, but toddlers make him nervous. Smaller dogs, however, are too tempting to chase and nip at, same with cats. Koda will counter surf if there is something yummy left out, but overall, he is a well behaved dog that knows his basic commands. He was very depressed to be left by his owner today, but he did fine in a playgroup with other large dogs. Koda gets car sick so hasnt really been taken for rides much. He will give a silly submissive grin as an appeasement gesture. We will post more as we get to know him better and he has a chance to adapt to his temporary new life. Koda's adoption fee is $175 and includes neuter, current vaccines, microchip, free vet visit, 30 days free pet health insurance, and custom engraved ID tag. Sweet Pea and her daughter Treya came to us under some crazy circumstances. Someone who lived in an apartment and wasnt allowed to have any pets, saw them on Craigslist in California and brought them to Madras. 4 days later, both girls end up at the shelter because this person cant have pets.... Sweet Pea is 7 years old and her original owner hunted with her the first 3 years, then after that just had her as a beloved housepet. She is housetrained, and her only bad habit is raiding the trash, when given the opportunity. She is a very sweet, very well behaved dog. 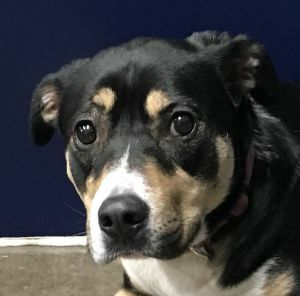 She did great in playgroup with several other dogs, and although shes a bit confused at all the changes that have recently taken place, she easily meets strangers. Although we would love for the girls to be kept together, Sweet Pea will do just fine in a new home without her daughter. She did not live with children or cats, so we will update her profile as we get to know her better. So far, she has shown zero signs of aggression. 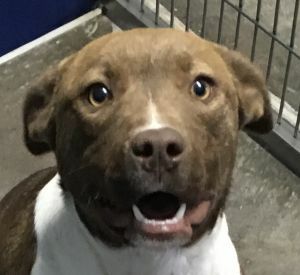 Sweet Pea's adoption fee is $150 and includes spay, current vaccines, microchip, free vet visit, 30 days free pet health insurance, and custom engraved ID tag. Treya came to us in a very odd way. Someone who was not allowed by the landlord to have any pets saw Treya and Sweet Pea on Craigslist in California. She took them home to an apartment in Central Oregon, then 4 days later brought them to us. Treya is 4 years old and is very stressed at all the changes. She has lived with her mom, Sweet Pea all her life and she is housetrained. Although she is pretty much worried about what's going on, she showed no aggression thru her fear. She even tolerated a much needed nailtrim. 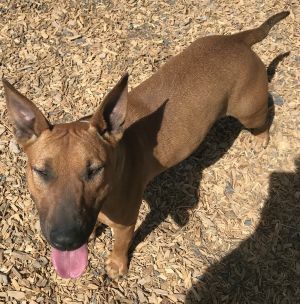 She was in playgroup with other dogs, and although she didnt interact with them, she remained neutral and not aggressive. She was not around little kids or cats, but we will post more as she gets used to her new lot in life. Our hearts hurt when we get dogs in who are so confused by the changes that they shut down for a while. She really is a lovely dog, and we hope an adopter will see past the "scaredy-dog" sadness. Treya had been a housepet prior to being transported to Central Oregon. Treya's adoption fee is $150 and includes spay, current vaccines, microchip, free vet visit, 30 days free pet health insurance and custom engraved ID tag. Boodah was brought in by a Good Samaritan to the local vet badly beaten up and not able to put weight on one of his legs. He had a swollen, oozing wound which looked like there were punctures. He had scabs, old and new wounds, and we were all amazed at what a loving and kind boy he was. Boodah is healing up nicely and is now putting full weight on his rear leg. 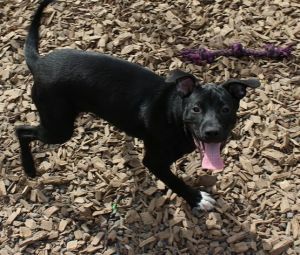 He loves playtime with other dogs (females, so far) and he is very affectionate and loving. He did very well for his temperament testing. When he met the naughty shelter cat, she hissed and swatted at him, and Boodah moved away and didnt try to approach again. He is very quiet and calm in his kennel, and he tries to hold his potty until he is outside. He was very tolerant of wound cleaning and inspection. He is around 4 years old. Pupdate - Boodah was adopted and then returned because once he had his weight, skin, and health back to normal he had "too much energy." He will make someone a great, affectionate, protective quardian. Just don't expect a couch potato... The dog that came back is much more stressed than the dog that left for a new home. We have a plan in place to help him. Also, the vet said he was much younger than what we thought! We thought 4 years old, and vet says way closer to 1! Boodah's adoption fee is $175 and includes neuter, current vaccines, microchip, free vet visit, 30 days free pet health insurance, and custom engraved ID tag. Glorie came to us as a very pregnant owner surrender. Her owner didn't have time for her, so Glorie came to us to deliver and raise her pups. Well, shes done being a momma, and shes ready for a new home of her own! She is a nice petite little Terrier, we call her a "Pocket Pittie". She is happy, confident, eager, shes active and playful, and she knows her basic cues. She will benefit from some work on not pulling on leash and not jumping up. She met an office cat and the bunny, and she was too curious for our liking. We believe she would have enjoyed chasing either or both. 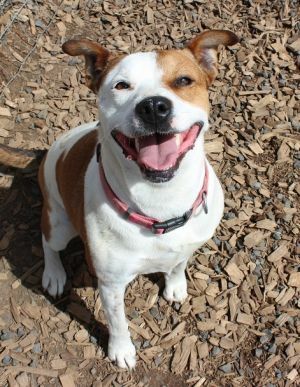 She is great playing with other dogs and will respect a dog who communicates, "too much!" Shes very wiggly and her happiness shows in her tail! Glorie was kept either in the yard or a crate, so we dont know if she is reliably housetrained. She was a good mom to her darling pups. Glorie's adoption fee is $175 and includes spay, current vaccines, microchip, free vet visit, 30 days free pet health insurance, and custom engraved ID tag. PUPDATE: Guinness met 2 well behaved kids today about 4-5 years old and was extremely scared of them. We feel he would do best in a home without kids or much older, calmer children. Guinness is a transfer from Fort Worth, Texas. 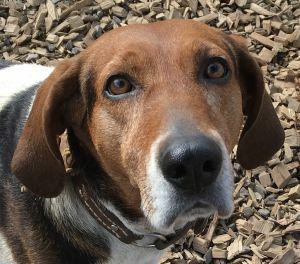 Guinness is a quiet guy that loves affection but is also a bit unsure about new things. He overcomes quickly and could really use a patient new home to show him the world is full of fun! Pupdate - Guinness met the trainer today and scored high points on the gentle, calm, well-behaved dog section! He is not a foodie, so right now it isn't a huge motivator to him, but there have been lots of changes lately which may explain the lack of interest. He is underweight, and when the trainer mixed in some yummy canned food with his kibble, he happily ate it all. Notice in his photos that he stands with a front paw raise? That is a behavior that conveys submission, and definitely shows he wants no trouble. He did well for his temperament testing and was disinterested in the shelter cats and the rabbit in the office. He gently approached a stranger and allowed petting, and he has displayed nice quiet manners in his kennel. He may not have had any basic training yet, but he has lovely indoor manners and waited until he was outside to potty. Guinness met a family with young kids, and quite, frankly, he was afraid of them. He went and hid and tried to stay away from wherever they were. No kitties in his new house, please. He is way too focused on making them run. 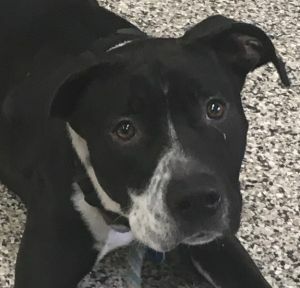 Guinness's adoption fee is $200.00 and includes neuter, current vaccines, microchip, free vet visit, 30 days of pet health insurance, and engraved ID tag. WE DO NOT SHIP DOGS. Joe was brought in as a stray and wasnt claimed by an owner. He had frayed strands of baling twine tied to his collar, probably was on a tie out and chewed it off. Joe is such an interesting character! He can be a pushy bull in a china shop, and then also be so cuddly and affectionate. He would love to be a lap dog and he loves to snuggle and give lots of licks to your chin. Joe does not seem to know any basic commands, but he can be lured into a sit. He doesn't love to be in his kennel, and he does his best to try and push past us when the gate gets opened, but we are working on that. Surprisingly, when he is free in a yard or the office, he displays really nice manners. Although we dont know if he is housetrained, he did not potty inside and saved it all until he got outside. He curiously sniffed the office cat, but then turned and left it alone. Joe is a youngster, definitely not more than 1 1/2 years old at the most. He really likes other dogs and did terrific in playgroups with both male and female dogs. Joe jumps up and might knock over a small child, but we see a friendly dog loaded with potential. He did great for vigorous body handling and he did not guard his food. Joe is definitely a pit mix, his tail is full and fluffy. Pupdate - Joe deserves the award for "fast learner" as he has learned some lovely gate manners and is no longer such a wild child. He continues to be terrific in playgroups with other dogs. He loves both male and female dogs, he is calm and relaxed with them, and continues to amaze us with his sweet personality. Joe's adoption fee is $150 and includes neuter, current vaccines, microchip, free vet visit, 30 days free pet health insurance, and custom engraved ID tag. Gale came to us as a transfer from an overcrowded Texas shelter. She is 4 years old and she is a bit overwhelmed at all the changes in the past few weeks. She is affectionate and sweet, but will alarm bark at a stranger. Gale does good on the leash, she has put on some much needed weight, and we have seen her relax more and more. At first she didnt enjoy playgroups very much, and would stand by the gate and look for us, but now she is playing and having a great time with male dogs. Gale would love to make someone a great hiking and outdoorsy pal. 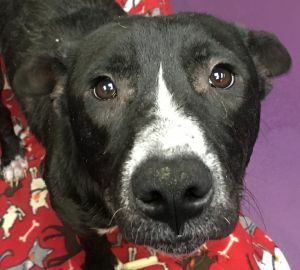 Gale's adoption fee is $175 and includes spay, current vaccines, microchip, free vet visit, 30 days free pet health insurance, and custom engraved ID tag. Painter came to us as a transfer from an overcrowded Texas shelter. He is about 2.5 years old and he looks to be a mix of Pointer/Lab/Great Dane. He knows how to sit on cue and he is a very friendly and outgoing boy. He is underweight and we are working on getting him into a good body condition. We will post more as we get to know him better. 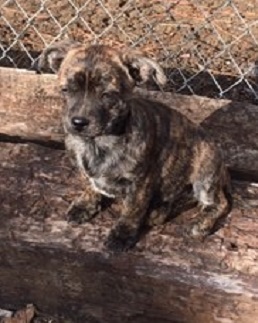 Pupdate - Painter is super athletic and can climb chain link fencing, so secure fencing in his new home is advised. No cats for Painter, please. He is way too interested in chasing. Painter's adoption fee is $175 and includes neuter, current vaccines, microchip, free vet visit, 30 days free pet health insurance, and custom engraved ID tag. Aspen came to us as a transfer from an overcrowded Texas shelter. He is about 1.5 years old and he is very friendly. He does well with other dogs, but would be best with a sturdy playmate that will enjoy his raucous playstyle. He does guard his food while he eats, but that is easily worked on. The caution would be to make sure any small children leave him alone while he eats. He does jump up to greet us and solicit attention, but he does know his basic cues of sit and down. You cant see it in his photos, but hes got a large black spot right on his bottom and tail. Hes got a lovely furry coat and is a real Heinz 57 mix. Aspen's adoption fee is $200 and includes neuter, current vaccines, microchip, free vet visit, 30 days free pet health insurance, and custom engraved ID tag. Johnny Cash came to us as a transfer from an overcrowded Texas shelter. 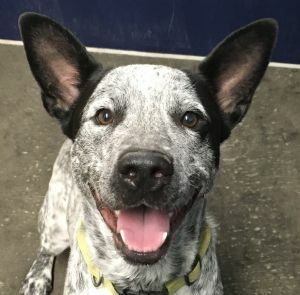 He's friendly, he's alert, and he will bark in alarm when he sees something out of the ordinary and when he wants you to come get him from his kennel! He is so friendly and outgoing and he really likes to be with either people or other dogs. He did great for his temperament testing, we saw no red flags at all and he enjoys playtime with other dogs. Johnny could easily enjoy and active and outdoorsy lifestyle. He's not the sort we would ever recommend for a sedentary apartment life. 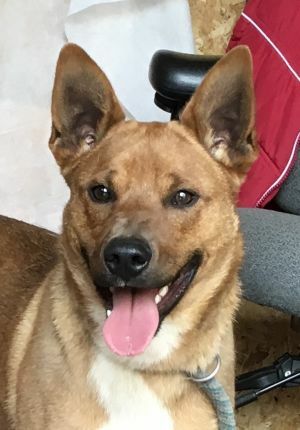 He's 1.5 years old, he is outgoing and confident, and he would be a great alert/alarm dog. He knows how to sit on cue. Pupdate - Johnny Cash is amazing with other dogs. He is playful and appropriate, and he gets along with every dog he meets, even the grumpy ones! 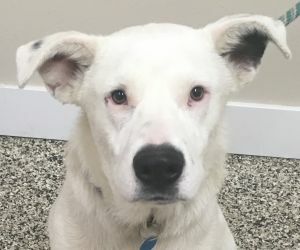 Johnny Cash's adoption fee is $200 and includes neuter, current vaccines, microchip, free vet visit, 30 days free pet health insurance, and custom engraved ID tag. 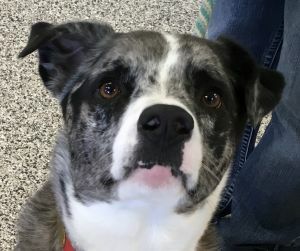 Oak came to us from an overcrowded Texas shelter. He is about 2.5 years old and he easily meets strangers. He did good for his temperament testing, he sniffed the office cat and then left him alone, and he did great in a playgroup with female dogs. He knows how to sit on cue and although he is underweight, he loves food and yummy treats. We will post more as we get to know him better. Oak's adoptions fee is $200 and includes neuter, current vaccines, microchip, free vet visit, 30 days free pet health insurance, and custom engraved ID tag. Rogue came to us from an overcrowded Texas shelter. She is about 1.5 years old and she is super friendly to all and very playful and affectionate. She is great with other dogs, she was kind of afraid of the office cat, and she knows her basic cues. Shes a big girl, and she does pull on the leash, and she does jump up, but its because she is so friendly and loves affection. She did great for her temperament testing and does not guard her food although she is an eager eater! Pupdate - Rogue was adopted, but returned through no fault of her own (except maybe her size with a young pup) and we learned she was great in the house and was reliably housetrained. She was great with the pup, just too playful size-wise. Rogue's adoption fee is $200 and includes spay, current vaccines, microchip, free vet visit, 30 days free pet health insurance, and custom engraved ID tag. Dana was adopted recently as a pup but sadly returned because she was bullying the small dachshund in the home. She was great with the large male dog and does well in playgroups with other sturdy large adult dogs. She loves to go to dog parks and should stay in groups with dogs her size or larger. Dana is a cautious canine and doesn't love being rushed by strangers. She will give a soft growl and move away, and prefers to be allowed to sniff and choose whether or not to approach. Once she approaches and trusts, she is sweet and affectionate, and actually leans on her human for confidence. 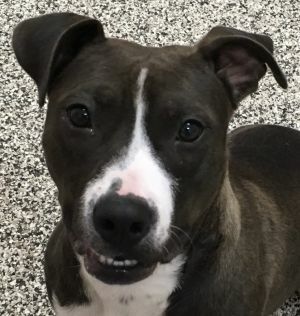 Dana is housetrained and crate trained, she will use a doggy door, and if left unattended in the home, she will chew herself into some trouble! Typical of most pups! She is only 8 months old and will benefit from ongoing confidence building. We can help you with ideas for that. Dana is less confident when there is not another dog nearby, so she could also benefit from the right canine companion. We love her ears and her expressive face. 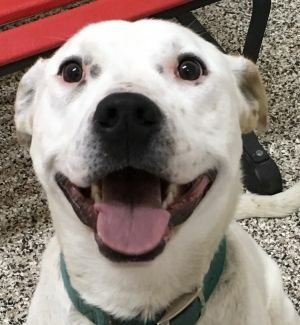 Pupdate - Dana should go to a home where there is another large dog that can help her gain confidence, and show her that strange people aren't scary. (Although some strangers ARE scary?) 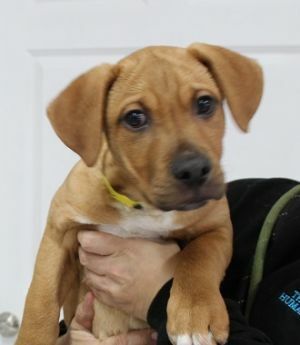 Dana's adoption fee is $225 and includes spay, current vaccines, microchip, free vet visit, 30 days free pet health insurance, and custom engraved ID tag. Cheyenne was adopted in 2017 and was returned because her owner has fallen ill and can no longer provide for Cheyenne and Boone. She is now about 3 years old and what a sweet girl she is!!! She loves her brother Boone very much so she would do well with another dog. She does well with kids and other people but loves her family the most. She is house-trained and does not destroy household items when left alone. Cheyenne has a bunch of fun energy so an active family for her would be great!! Monroe's adoption fee is $175 and includes spay, current vaccines, microchip, free vet visit, 30 days free pet health insurance, and custom engraved ID tag.